Morgan Geist needs no introduction. The man has been making dance music to the highest standard for longer than i’ve been able to tie laces and he’s showing no signs of slowing down. Whether working as half of Metro Area or under his various solo aliases he always brings deep and organic sounding music, retro influenced but forward facing, touching on the 80s sounds of boogie, italo, early house and techno, but always sounding fresh, original and unmistakably his own. 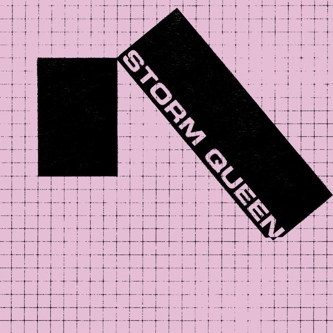 In December last year he snuck out a very late contender that wiped the floor with the track of the year competition under the alias of Storm Queen. That track, ‘Look Right Through’ has barely been out of the box over the last 12 months and is due a rerelease on D******D (I won’t say that word) with remixes from Aeroplane, Dimitri from Paris, Art Department and Jamie Jones. So if you’re new to the track, get there quickly, it’s about to jump the shark. Thankfully, as a saviour of the underground, Morgan has seen fit to release another powerhouse in time for this year’s party season. ‘It Goes On’ repeats the trick so wonderfully pulled off in ‘Look Right Through’. He has taken what is in essence a melancholy ballad and styled it as a house track with the late 80s/early 90s aesthetic. Inside the ecstatic body moving rhythm of these tracks, hidden within the exceptional synths and flawless production lie real songs, about heartbreak, longing and resilience. This time round things are less straight forward, the track is less immediate, the progressions less classic which usually means its power will be more lasting. Things begin with a handclap, always a good start, and the key melody of a descending bassline. Things are very minor key, Damon C. Scott (returning on vocal duties) starts to tell us a tale of loss as Morgan’s synths weave their magic, and finally we’re paid off with an uplifting chorus and the hands are in the air. The highlight of the track is the detuned warped synths that follow the first chorus. Inventive, interesting and forward moving electronic music that will pack every floor it’s unleashed on. You can find both Storm Queen records on vinyl at the Environ Shop and listen to the vocal mix of this gem below.